This morning, I took time off to be with my water baby. 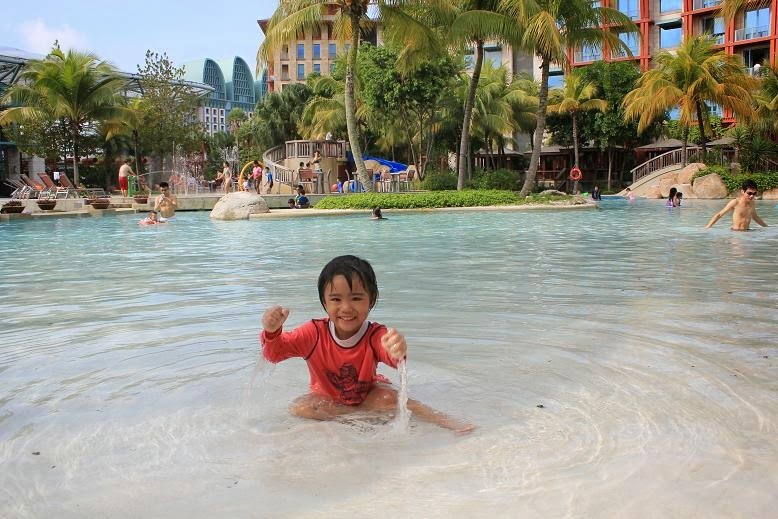 I bathed him and let him play with his sandcastle bucket because he misses playing in the beach and in the sand pool area of Hard Rock Hotel, Singapore (photo above). We seriously need another staycation or a beach vacation! Can't wait for the PSLE to be over and off we go to celebrate our anniversary and my birthday in a popular beach destination in The Land of Smiles.